The following is reprinted from my article published in ECO Magazine, March 2015. It was published in its current format as an ECO Editorial Focus by TSC Media. Thank-you Mr. Greg Leatherman for making it available for reprinting. It is the highpoint of your career as an environmentally minded marine biologist. The National Science Foundation has provided a generous grant for your photographic mission to the waters 100 ft below the Ross Ice Shelf, Antarctica. Now you’re on an important mission, searching for biological markers of climate change. Under Antarctic Ice, photo by Dr. Martin Sayer. Above you lies nothing but a seemingly endless ceiling of impenetrable ice, 10 ft thick. Having spent the last several minutes concentrating on your photography, you look up and notice you’ve strayed further from safety than you’d wanted. The strobe light marking the hole drilled in the ice where you’ll exit the freezing water is a long swim away. And, unfortunately, your fellow scientist “buddy” diver has slipped off somewhere behind you, intent on her own research needs. You’re diving SCUBA with two independent SCUBA regulators, but in the frigid cold of the literally icy waters, you know that ice could be accumulating within the regulator in your mouth. At the same time, a small tornado of sub-zero air expands chaotically within the high-pressure regulator attached to the single SCUBA bottle on your back—and that icy torrent is increasingly sucking the safety margins right out of your regulator. You are powerless to realize this danger or to do anything about it. At any moment, your regulator could suddenly and unexpectedly free flow, tumultuously dumping the precious and highly limited supply of gas contained in the aluminum pressure cylinder on your back. You’re equipped and trained in the emergency procedure of shutting off the offending regulator and switching to your backup regulator, but this could also fail. It’s happened before. As you try to determine your buddy’s position, you’re feeling very lonely. You realize the high point of your career could rapidly become the low point of your career—and an end to your very being. The preceding is not merely a writer’s dramatization. It is real, and the situation could prove deadly—as it has in far less interesting and auspicious locations. Regulator free flow and limited gas supplies famously claimed three professional divers’ lives in one location within a span of one month. There is a risk to diving in extreme environments. However, the U.S. Navy has found that the risk is poorly understood, even by themselves—the professionals. If you check the Internet SCUBA boards, you constantly come across divers asking for opinions about cold-watersafe regulators. Undoubtedly, recent fatalities have made amateur divers a little nervous—and for good reason. Internet bulletin boards are not the place to get accurate information about life support safety in frigid water. Unfortunately, the Navy found that manufacturers are also an unreliable source. Of course, the manufacturers want to be fully informed and to protect their customers, but the fact remains that manufacturers test to a European cold-water standard, EN 250. By passing those tests, manufacturers receive a “CE” stamp that is pressed into the hard metal of the regulator. That stamp means the regulator has received European approval for coldwater service. As a number of manufacturers have expensively learned, passing the EN 250 testing standard is not the same as passing the more rigorous U.S. Navy standard, which was recently revised, making it even more rigorous by using higher gas supply pressures and testing in fresh as well as salt water. Freshwater diving in the Navy is rare—but depending on the brand and model of regulator in use, it can prove lethal. The unadorned truth is that the large majority of manufacturers do not know how to make a consistently good Performing cold-water regulator. Perhaps the reason is because the type of equipment required to test to the U.S. Navy standard is very expensive and has, not to date, been legislated. Simply, it is not a requirement. Some manufacturers are their own worst enemy; they cannot resist tinkering with even their most successful and rugged products. This writer is speculating here, but the constant manufacturing changes appear to be driven by either market pressures (bringing out something “new” to the trade show floor) or due to manufacturing economy (i.e., cost savings). The situation is so bad that even regulators that once passed U.S. Navy scrutiny are in some cases being changed almost as soon as they reach the “Authorized for Military Use” list. The military is struggling to keep up with the constant flux in the market place, which puts the civilian diver in a very difficult position. How can they—or you—know what gear to take on an environmentally extreme dive? My advice to my family, almost all of whom are divers, is to watch what the Navy is putting on their authorized for cold-water service list. The regulators that show up on that list (and they are small in number) have passed the most rigorous testing in the world. • Even the coldest water (28°F; -2°C) is warm compared to the temperature of expanding air coming from a first stage regulator to the diver. There is a law of physics that says when compressed air contained in a SCUBA bottle is expanded by reducing it to a lower pressure, air temperature drops considerably. It’s the thermal consequence of adiabatic (rapid) expansion. • Gas expansion does not have to be adiabatic. Isothermal (no temperature change) expansion is a process where the expansion is slow enough and heat entry into the gas from an outside source is fast enough that the expanded gas temperature does not drop. • The best regulators are designed to take advantage of the heat available in ice water. The most critical place for that to happen is in the first stage where the greatest pressure drop occurs (from say 3,000 psi or higher to 135 psi above ambient water pressure (i.e., depth). They do that by maximizing heat transfer into the internals of the regulator. • First stage regulators fail in two ways. The most common is that the first stage (which controls the largest pressure drop) begins to lose control of the pressure being supplied to the second stage regulator, the part that goes into a diver’s mouth. As that pressure climbs, the second stage eventually can’t hold it back any longer and a free flow ensues. • The second failure mode is rare, but extremely problematic. Gas flow may stop suddenly and completely, so that backup regulator had better be handy. • Second stage regulators are the most likely SCUBA components to fail in cold water due to internal ice accumulation. • Free flows may start with a trickle, slowly accelerating to a torrent, or the regulator may instantly and unexpectedly erupt like a geyser of air. Once the uncontrolled, and often unstoppable free flow starts, it is self-perpetuating and can dump an entire cylinder of air within a few minutes through the second stage regulator. • A warm-water regulator free flow is typically breathable; getting the air you need to ascend or to correct the problem is not difficult. In a cold-water-induced free flow, the geyser may be so cold as to make you feel like you’re breathing liquid nitrogen and so forceful as to be a safety concern. Staying relaxed under those conditions is difficult, but necessary. • Water in non-polar regions can easily range between and 34°F to 38°F; at those temperatures, gas entering the second stage regulator can be at sub-freezing temperatures. European standard organizations classify ~10°C (50°F) as the cold/non-cold boundary. The Navy has found in the modern, high-flow regulators tested to date that 42°F is the water temperature where second stage inlet temperature is unlikely to dip below freezing. • The small heat exchangers most manufacturers place just upstream of the second stage is ineffective In extreme conditions. They quickly ice over, insulating that portion of the regulator from the relative warmth of the surrounding water. • Regulator “bells and whistles” are an unknown and can be problematic. Second stage regulators with multiple adjustments can do unpredictable things to heat transfer as the diver manipulates his controls. The last thing a cold-water diver should want is to make it easier to get more gas. High gas flows mean higher temperature drops and greater risk of free flow. • Only manufacturer-certified technicians should touch your regulator if you’re going into risky waters. The technician at your local dive shop may or may not have current and valid technician training on your particular life support system. Don’t bet your life on it— ask to see the paperwork. • Follow Navy and Smithsonian* guidance on handling and rinsing procedures for regulators in frigid waters. A single breath taken above the surface could freeze a regulator before you get your first breath underwater. 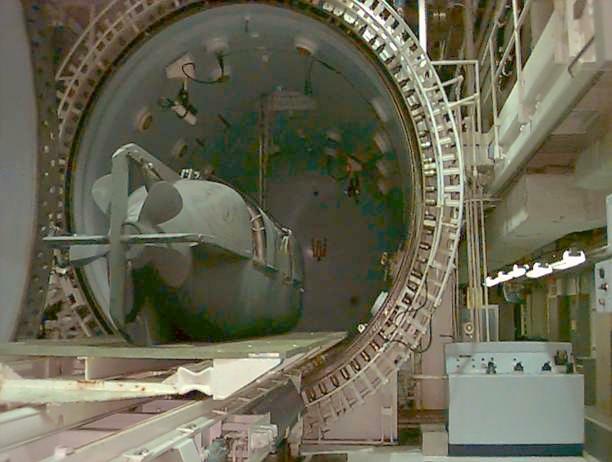 U. S. Navy reports on tested regulators are restricted. 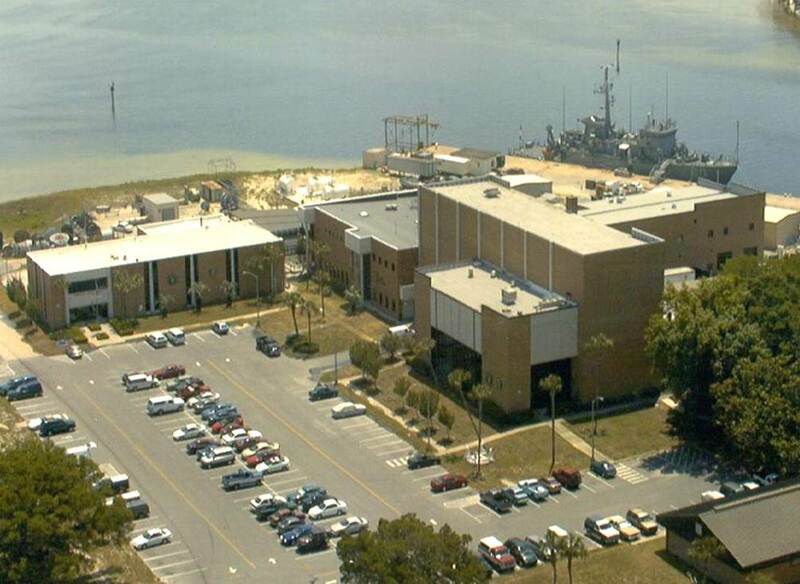 However, the list of those regulators passing all phases of Navy testing is available online. If your regulator, in the exact model as tested, is not on that list, do yourself a favor and don’t dive in frigid waters. The original Editorial Focus article is found in the digital version of the March ECO magazine here, on pages 20-25. This week, as the Space Shuttle is making its last circuits around our planet, I lament what has happened to our space program. Yet, I am reminded of another exploration program that has, like the shuttle and the moon programs, reached incredible milestones only to retreat to a less exotic but still impressive status. That other program is experimental, deep saturation diving. 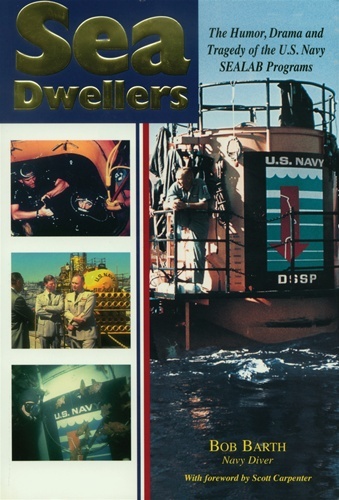 I have been privileged to conduct human physiological research on several deep saturation dives, one being a record-breaking U.S. Navy dive at the Navy Experimental Diving Unit (NEDU) in 1977 to a pressure equivalent to that found at 1500 feet sea water (fsw), or 460 msw*, and on a 450 msw (1470 fsw) dive at the GUSI diving facility at the GKSS Institute in Geesthacht, Germany in 1990. For perspective, the safe SCUBA diving depth is considered to be 130 fsw, although technical and cave divers often descend deeper, to 300 fsw or so. Dives in hyperbaric chambers like at GUSI and NEDU are simulated; the divers don’t actually go anywhere. But the effects of the high pressure on the divers’ bodies are just as they would be in the ocean. Of course, even in simulated dives, divers wear Underwater Breathing Apparatus, and descend into water contained within the hyperbaric complex. In 1979, NEDU again set the U.S. Navy record for deep diving to 1800 fsw (551 msw). 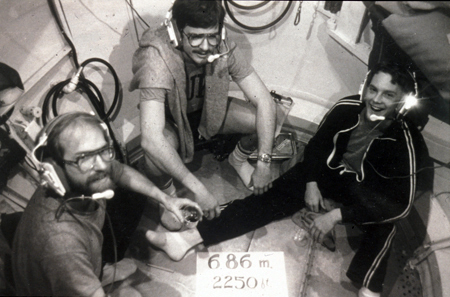 At Duke University in 1981, the U.S. record for pressure exposure was set by three saturation divers inside an eight-foot diameter sphere. The internal pressure was 2250 fsw (686 msw). One of those divers went on to become the senior medical officer at NEDU, none the worse for his high pressure exposure. The French company Comex, of Marseille used an experimental gas mixture of hydrogen-helium-oxygen to reach 675 msw, before being forced back to 650 msw due to physical and physiological problems with the divers. However, like teams attempting the summit of Mount Everest, one diver from the dive team was pressed to a world record of 701 msw (2290 fsw), just squeaking past the U.S. record. There is a poorly understood physiological barrier called the High Pressure Nervous Syndrome (HPNS) that limits our penetration to ever deeper depths. In spite of the use of increasingly exotic gas mixtures, helium-oxygen in the U.S. Navy, helium-nitrogen-oxygen at Duke University, and hydrogen-helium-oxygen at Comex, all attempts to dive deeper have, to date, been rebuffed. Just as I had thought as a young man that trips to the moon would be common-place by now, I had also assumed diving to 3000 feet would be routine. But it is not. In my early research days I was interested in the effects on organisms of very high pressure, 5000 psi, which is equivalent to a depth of over 11,000 feet (3430 meters). We now know those effects can be profound, altering the very structure of cell membranes. Reversing those effects while maintaining high pressure, at great depth, is a daunting scientific task. We don’t yet know how to do it. What we do know is that reaching 1500 feet can be done without too much difficulty. In the 1980s it became almost routine to dive to 1000 feet at both the Naval Medical Research Institute (Bethesda) and NEDU. Deep saturation diving is a thriving business in the oil fields of the Gulf of Mexico and the North Sea. 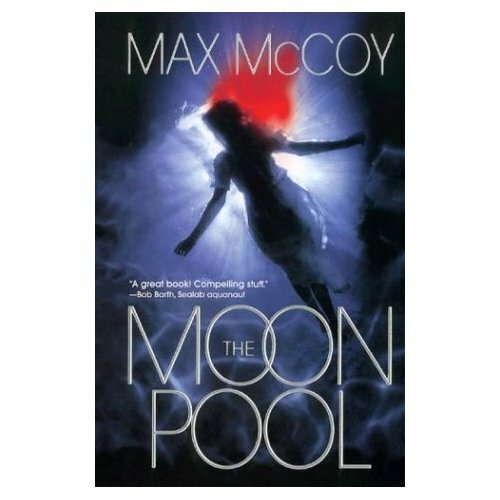 But as for the similarity between deep saturation diving and NASA’s moon missions, in the Apollo program it took slightly over three days to get to the moon, and almost an equal time to return. But as the above dive profile shows, it took sixteen days to reach the maximum depth of 1500 fsw, and seventeen days to safely return. Over that period of time astronauts would have whizzed past the moon and been well on their way to Mars. Unlike spacecraft and astronauts, divers must slow their descent to avoid HPNS, and must slow their return to the surface to avoid debilitating and painful decompression sickness. Diving without submarines or armored suits is very much a demanding, physical stress. Politically, exceeding our current depth limits of approximately 2000 feet is akin to returning to the moon, and going beyond. We could do it, but at what cost? Should we? Will it ever be a national priority? Maybe not for the United States, but I have a suspicion that other countries, perhaps not as heavily committed to space as we, will find the allure of beating current diving records irresistible. If there are medical or pharmacological interventions developed for getting divers safely and productively down to 3000 feet, then that would be a scientific achievement comparable to sending men to Mars. 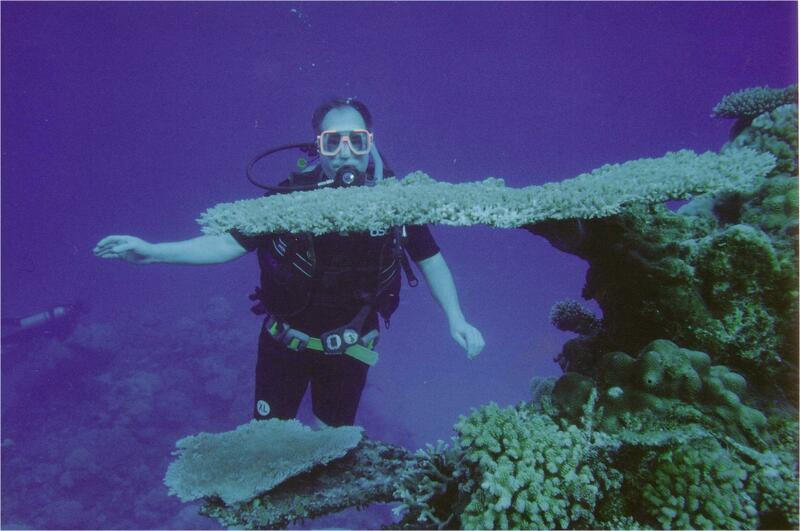 My Navy travels have afforded me the privilege of diving in some of the most interesting places. In this, and the next couple of posts, I list my top three diving destinations. I’ve been diving on the Australia’s Great Barrier Reef on two occasions, both times departing for the reef from Cairns, pronounced like the first syllable in “Kansas”. The first trip was to the inner reef, a short boat ride away from the docks. That experience was OK, but not what I had expected. It seemed like the reef had been abused by massive diver and snorkler populations which had not treated the reef with the respect it deserved. On my second trip to Australia on Navy diving business, I traveled with the Commanding Officer of the Navy Experimental Diving Unit, CDR (later CAPT) Jim Wilkins. From Cairnes we took a fast boat to a liveabord vessel anchored on the outer reef. It was a beautiful 140 ft. tall schooner, SV Atlantic Clipper. And that made all the difference. 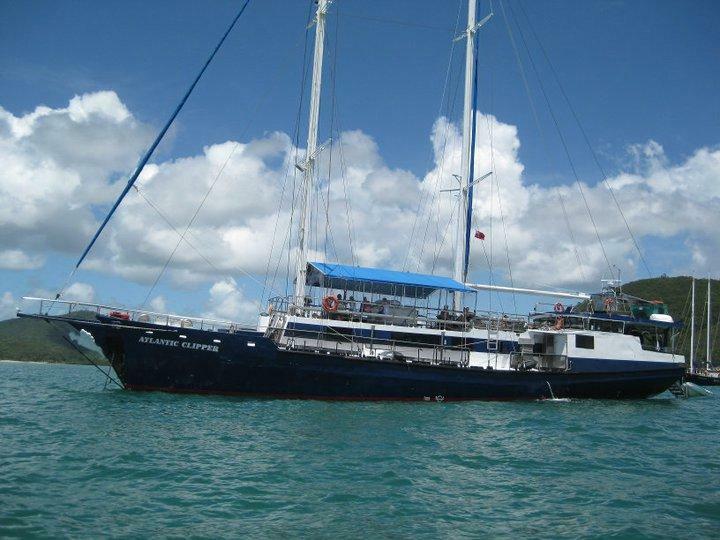 During the diving season the Clipper is stationed on the outer reef, and shuttles divers to four diving locations; Norman Reef, Saxon Reef, Hastings Reef, and Michaela’s Reef. Each location featured different underwater vistas, showing an overwealming diversity of colorful reef animals. On a typical day we’d make three daylight dives of varying depths plus a night dive. After one memorable night dive we walked up the long gangway to the deck, shed, cleaned and stowed our dive gear, and then, attracted by commotion at the bow, found a cluster of divers feeding large fish while six or more Bronze Whaler sharks circled amongst the fish, which seemingly paid the sharks no mind at all. The fish knew where the sharks were at all times, and only the healthiest, quickest fish dared feed in such proximity to the large predator. The agile fish apparently felt confident they could dodge the far more cumbersome sharks, because while we watched, not a sinlge fish was taken. I, on the other, was not quite so agile. And I admit that it bothered me a bit that while I had been swimming through the dark to a dive ladder on the port side of the vessel, near the stern, Bronze Whalers were circling alongside the port bow. But the ship’s crew assured me that the Bronze Whalers were “not particularly dangerous.” They had attacked spearfisherman and “bathers”, but the attacks had not been fatal. Well, that’s comforting, I thought. 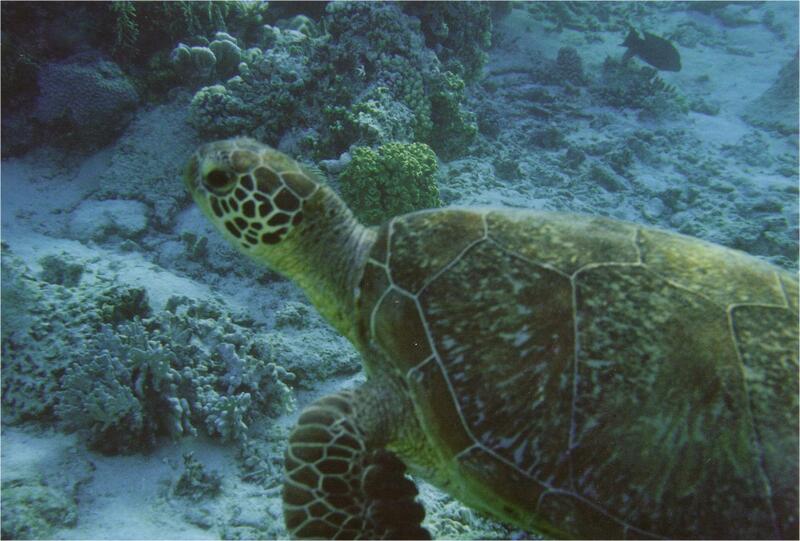 I have to say the most memorable series of dives were with the magnificent Green sea turtles. To observe such beautiful and docile creatures in their native environment was probably the highlight of the entire trip. 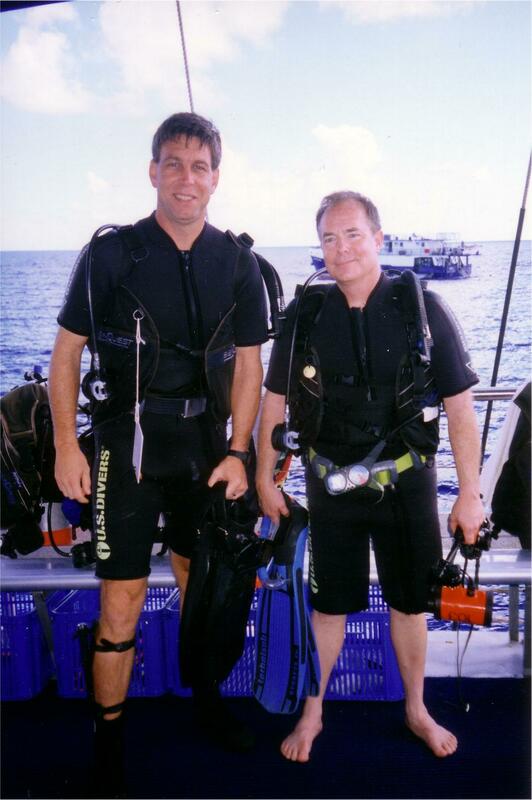 During one of the many dives I learned a valuable lesson about diving with diveboat gear. Through the years I’d been diving, since 1964, the equipment was either my own, or belonged to the Navy, and was always maintained in like-new condition. It may have looked battered, but mechanically it was pristine. As Jim Wilkins and I descended through 60 feet on one dive, I noticed my regulator was becoming increasingly difficult to breathe. I checked my bottle pressure, and there was plenty of air – the dive was just starting. But whether I understood it or not, it was becoming harder and harder to breathe – by the second. I finally took action by grabbing my dive-buddy’s octopus regulator (a back-up regulator), and together we slowly ascended to the surface. Back on the boat I discovered my tank valve was not fully turned on. Why not, I wondered? Well, the valve was worn, and generated a considerable resistance before it was fully open. As I am accustomed, I had turned the valve until I met resistance and stopped. That is a good way to prevent damaging a well working valve, but that particular tank valve was not working as smoothly as it should. It fooled me. Chalk one up to lessons learned. Without a doubt, the series of dive made from the Atlantic Clipper were among the most memorable of my diving career. In upcoming posts I’ll describe Red Sea dives at Sharm El Sheik and Ras Mohammad, followed by a dive at Herod’s Port, in old Caesarea, Israel.